Dollar Tree Inc. is the chain of variety stores (discount) in America that offers different items in just one dollar only. Dollar Tree is a part of Fortune 500 companies and has its headquarters located in Chesapeake, Virginia. At present, the chain is operating near about 4,400 stores in different regions that include 48 contiguous locations in Canada and in the US. The stores operating by the chain are supported by Logistic Networks that again works under 9 distribution centers in the mentioned regions. The company also operates the popular 1-dollar store under the banner of Dollar Bills and Dollar Tree. There are currently 6 consumer reviews about Dollar Tree available. Share your review. What a freaking joke! I'm sure no one from corp is going to read this....but I was followed around your store #4926 like I was a thief just because I tried on a wrist support and when I checked out my weekly purchase from this store $19.29 all my stuff that I was checking out was examined, I felt violated and management "Nicole" wasn't any help when I spoke to her so thanks for noting...I think I'm done with dollar tree!!!!!!!!! I bought 36 items of a bubble sword on-line. Before I purchased I asked the manager if I could return ( not exchange) for store credit. They said yes. When I returned to Dollar Tree for store credit, the manager nick said he could not do it and it was store policy to even exchage item for item. This has to be the dumbest policy a company can have. I don't see Dollar tree being around in the next 5 years with stupid exchange policy's like this. I am writing to make sure someone gives credit where crdit is due. I visited the Dollar Tree in Poquoson, VA & your assistant Manager Daniel was very helpful to me, very well spoken, and was full of respect for me as a customer. This is not the first time I have met or experience Mr. Daniel as being as I mentioned above. I first met Mr. Daniel at Dollar Tree in NewMarket Area, Virginia, back a few years ago when he was a sales associate It was pleased to see that he had been moved up to Assisted Manager. I have talked with him from time to time about what he wants to do with life & He expressed to me that he has been going to school (fulltime)@ St. Leo University & also working (fulltime) at Dollar Tree wants to someday hopefully work @ corporate..Dollar Tree would be CRAZY to let this ambitious young man go. I see this show on TV Under cover Boss.. Dollar Tree should do that show & visit Mr. Daniel in Poquoson, VA & experience. WHILE SHOPPING DOLLAR TREE AT CUMBERLAND CROSSING, MONTICELLO KY, I HAD AN EXPERIENCE THAT HAVE NEVER HAD AT A STORE. MY TWO GRANDCHILDREN WERE LOOKING AT POOL/SWIMMING TOYS WHEN ONE OF THEM PICKED UP A BURGER KING CUP WHICH APPEARED TO HAVE SODA POP IN IT AND I ASSUMED IT HAD BEEN LEFT BEHIND BY ANOTHER CUSTOMER, BEFORE I COULD GET TO MY GRANDSON TO MAKE HIM PUT THE CUP DOWN THE LID CAME OFF AND HAD SPILT ON THE SHELF AND ON HIM, I SOON BECAME VERY UPSET BECAUSE WHAT I HAD THOUGHT WAS SODA POP WAS TOBACCO SPIT LEFT IN THE CUP, I IMMEDIATELY TOOK THE CUP TO THE REGISTER AREA AND ASKED FOR A TRASH CAN AND WAS TELLING THE CASHIER WHAT MY GRANDSON HAD FOUND AND SHE INFORMED ME THAT THE CUP BELONGED TO THE ASSISTANT MANAGER ON DUTY, SHE SAID SHE WOULD GIVE IT TO HIM WHEN HE COME BACK FROM LUNCH. I DO NOT THINK THIS IS VERY PROFESSIONAL. Recently while visiting the dollar tree in Monticello, Ky I was shopping with my 5year old son, we were near the back of the store where two young guys were working to stock shelves, both of these young men were using bad language while talking to each other, and seem to be discussing a party that had occured the night before, I hurried my son along cause I did not want him hearing that kind of language. When I reached the front of the store to purchase my items I decided to ask for the manager and say something about what I had overheard while shopping, the older lady at the front called for the manager and when he got to the front of the store he was one of the young men in which I had heard using all the bad language. I did say something to him and he was just rude and said Oh I will deal with it, then turned and walked into the little room near the registers that says "Employees only" I feel that dollar tree needs to check into this issue soon. I will not be shoppping here anymore due to this issue. On Sat, I stopped into the store to purchase a few items.. I was in the store for approx 5 minutes.. By check out time, my frozen food items (Michelina dinner) had melted. The Luigi's Italian Ice was liquid. No store should be this hot! Trying to be a loyal client, I went in yesterday after work (around 6pm). The store was much hotter than the previous visit. My clothes were damp, I had sweat on my face and my hair was wet underneath. I was so miserable that after a few minutes I could not handled it anymore and had to leave. Since I could not wait to leave, I had the items put back and left with nothing. I ended up at Dollar General to get the same items (and pay more) but at least the store was cool. Someone or something needs to be done as this is dangerous for your guest and staff. I cannot keep wasting my time to come into your store if you are not going to turn the air on when the temps are 75 degrees and higher. That is much to hot for the patrons to be comfortable. As an FYI, the thermometer at the garden site was at 92 degrees last night. I visited the store on W Market St in Greensboro NC .. I know the staff and W Market St are missing my sales as I am use to spending around $350 per month personally and the around another $150 on business items..and now my charity event will have me spending around $1000 over the 3 months, trying to buy the items needed for the event. I am going to go elsewhere if something cannot be done. 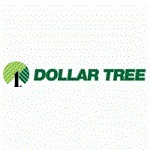 Please take a note that you are about to post a public review about Dollar Tree corporate office on CorporateOffice.com. This review will be public, so please do not post any of your personal information on this website. If you would like to contact the corporate offices of Dollar Tree, please use their contact information such as their phone number, website, and address listed above to contact them. However, sometimes staff from Dollar Tree headquarters do read the reviews on this website.